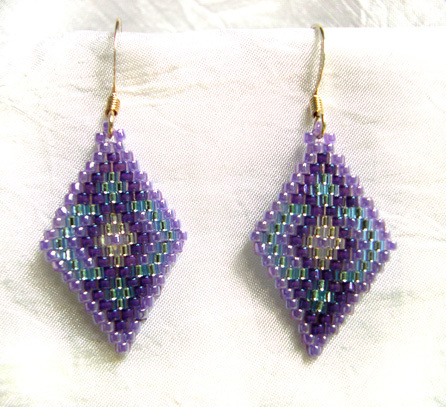 These earrings are authentic Native American made with high quality Delica seed beads with strong nymo bead thread. The total measurement for the earrings are 1 ½ inches long. These earrings have Silver plated French Hooks for pierced ears.